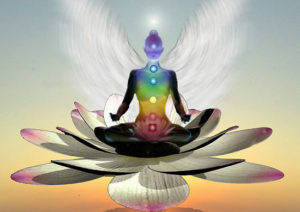 Dr. Christina is an expert in the Chakras (energy centers). The Chakras are a perfect roadmap for personal growth and holistic healing. The Chakras are the foundation of Mind, Soul, and Self LLC. We offer Chakra Weekend Wellness Retreats, Chakra Day Retreats, Chakra Balancing appointments, Chakra Psychology, Chakra Boot Camps, Chakra Intuitive Readings, Chakra and Energy Healing Certification series, Chakra Tai Chi, Chakra Aromatherapy, and a Chakra Product line of t-shirts, sweatshirts, aromatherapy, and jewelry. Dr. Christina promotes the training of highly educated and ethical providers of Complementary, Integrative, and Alternative Medicine. Christina specializes in three areas of Alternative Medicine: Mind/Body, Natural Health, and Energy Medicine. Many of her students include nurses, CNAs, nurse practitioners, pharmacists, yoga instructors, massage therapists, personal trainers, occupational therapists, counselors, LCSWs, dental hygienists, and others in the health and wellness field. Enhance your spiritual journey or develop your own holistic healing abilities to heal yourself and others with our online and face to face classes. Christina offers a 300 hour Holistic Healing with Aromatherapy Level I and II certification, Holistic Healing with Herbs certification, Mind/Body Medicine certification, a Chakra Balancing and Energy Healing certification series, Reiki I, Reiki II, and Reiki Master/Teacher classes. Chakra-Focused Intuitive Development, Meditation classes, and Chakra Tai Chi classes are also available! Online classes are available and scheduled group classes are offered in the Sheboygan, West Bend, and Milwaukee WI area. Group classes available by request throughout the Midwest. Dr. Christina is available for individual holistic healing and consultation sessions that focus on women’s wellness, emotional healing, spiritual development, self-discovery, transformation, transcendence, awareness, and consciousness expansion. Face to face appointments are conveniently located in Sheboygan, WI (between Milwaukee and Green Bay) as well as online and over the phone. Christina is a holistic healing facilitator with 20 years of education and experience. She specializes in emotional and spiritual healing and explores how the whole person interacts and influences well-being (mind, body, spirit, energy, environment, social). She can best serve women with chronic stress, grief and loss, depression, anxiety, relationship concerns, substance abuse, life changes, feeling lost and/or unbalanced, and individuals seeking wellness, their life purpose, transformation, enlightenment, spiritual development, and personal growth. Christina also specializes in working with empaths and spiritual crises. Appointments with Christina are holistic and target the mind, soul, and self. Christina views the world through a Transpersonal (Spiritual) Psychology framework. Each individual is a unique unity of mind, emotions, heart, body, and soul. Respect is given to the entire person, all possibilities of being, and experiences that are beyond the ordinary, ego, and self. 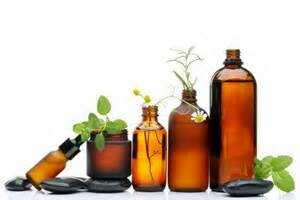 Holistic Healing sessions combine Chakra Balancing and Energy Healing with Spiritual Psychology, Holistic Aromatherapy, Herbal Consultation, Mind/Body techniques, and intuitive feedback. A special focus is placed on integration, centering, and grounding. 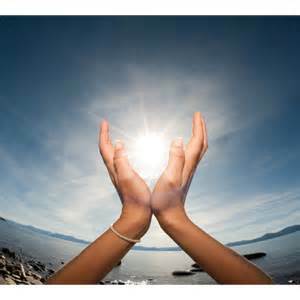 Dr. Christina offers Chakra Energy Intuitive Readings and Tarot Readings. Chakra Intuitive Readings explore the status and functioning of your main energy centers and related physical, spiritual, and emotional issues. Tarot Readings with Christina are unique as she uses them as a Spiritual Psychology, personal growth, and counseling tool. She has a PhD in Health Psychology, a Masters Degree in Clinical Psychology, a Bachelors Degree in Psychology, a Bachelor’s Degree in Anthropology, a Minor in Sociology, and is trained in Transpersonal Psychology having studied with Stan Grof MD, PhD, the founder of the field. Tarot readings with Christina can also include counseling, depth psychology, and information on archetypes, astrology, the hero/heroine’s journey, rites of passage, and the chakras. She also emails you pictures of the cards used in your readings for your own personal reflection. Chakra and Tarot Readings are available face to face in Sheboygan, over the phone, through email, and via web-conferencing. 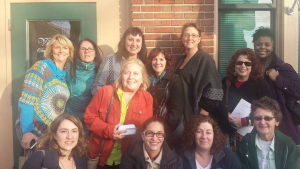 Unwind, relax, de-stress, heal, and transcend with a women’s wellness weekend retreat! Retreats are held four times a year in Southern Wisconsin. 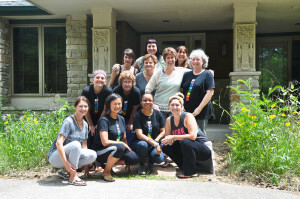 Next scheduled retreat is the ‘Summer Solstice Retreat” June 21 to 23, 2019. Please visit the wellness retreats page for more information and to register. Our all natural and handcrafted Mind, Soul, and Selfcare products are designed to enhance your relaxation, we llness, and spiritual development. Includes Chakra jewelry, Chakra T-shirts, Chakra Balancing Kits, meditation tools, herbal tinctures, and essential oil blends for Chakra Balance, energy clearing, women’s balance, stress reduction, pain reduction, depression, anxiety, and more!